Congratulations to Roger and the crew of Philos! 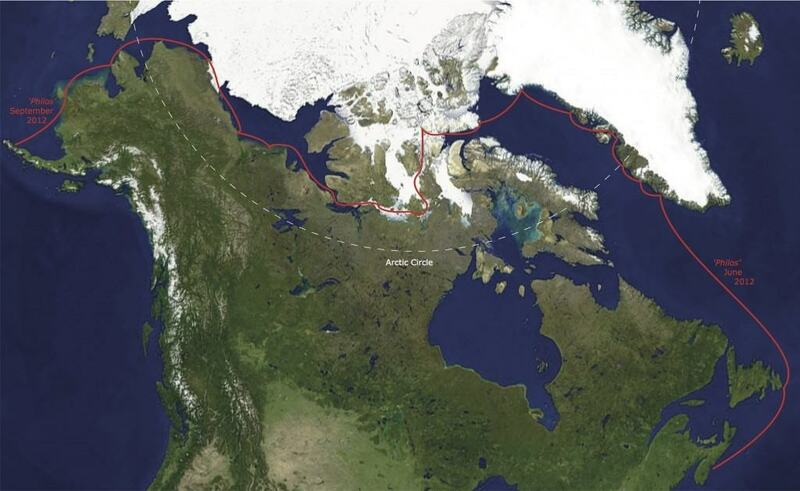 They’ve just passed south of the Arctic Circle to complete their first North West Passage! Philos was the first private vessel to make it through the passage this season. Due to weather and ice conditions they followed Roald Amundsen’s track, the first route navigated by ship, the Gjøa, in 1905, they stopped at the settlements of Resolute, Gjoa Haven and Cambridge Bay. Well done guys!